Lawrence County has numerous attractions for everyone from history enthusiasts to outdoors lovers to hunters and anglers. The county has a rich heritage and several local attractions strive to share that history. The Powhatan Historic State Park, the Clover Bend Historic Town Site and the Walnut Ridge Army Flying School Museum give vantage points into different eras in the county’s history. Visitors to Powhatan can visit the renovated 1888 courthouse and tour a one-room classroom at the Powhatan Male and Female Academy. The Clover Bend Historic Town Site offers visitors a chance to see what life on a homestead was like during the 1930s when Clover Bend was part of Roosevelt’s Farm Resettlement Program. 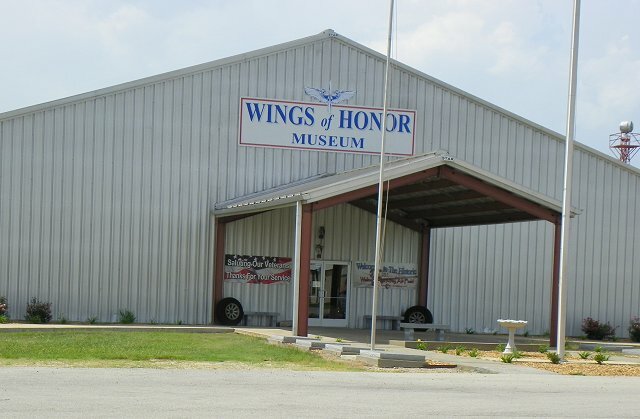 The Walnut Ridge Army Flying School features displays highlighting the airport’s history during the 1940s, late 1950s and early 1960s. During those years what is now Walnut Ridge Regional Airport served as home to the Army Air Forces Basic Flying School from 1942-1944, the Marine Corps Air Facility from 1944-1945, the War Assets Administration Warbird Disposal Facility from 1945-1948 and the USAF 725th Aircraft Control and Warning Squadron from 1956-1963. Walnut Ridge is located along a stretch of road recently designated as Rock n’ Roll Highway 67, in honor of the rockabilly performers who frequently traveled and performed along the route, especially in the late 1950s. Many of the performers were famous Sun Records artists, including Elvis Presley, Jerry Lee Lewis and Johnny Cash. Another area attraction is the Beatles sculpture located in Downtown Walnut Ridge dubbed The British Invasion of the Rock n’ Roll Highway. The sculpture pays tribute to a visit from the legendary rock band to Walnut Ridge on September 18, 1964. The Beatles landed in a small plane at the Walnut Ridge Airport on their way to a weekend vacation to a dude ranch in southern Missouri. Read more about the Beatles sculpture and Guitar Walk here. Lawrence County is also home to Lake Charles State Park, located on the shore of Lake Charles. The park offers fishing, camping, hiking and swimming and also has a nature center and playground. Three major rivers, the Black, Spring and Strawberry, flow through the county, providing fishing and boating opportunities. Lawrence County is a prime location for duck hunting, with several guide services available, and deer hunting opportunities are also plentiful. The Shirey Bay/Rainey Brake Wildlife Management Area in Southeast Lawrence County and the Dave Donaldson/Black River WMA located just north of the county, offer excellent public hunting for deer and ducks. The “Green Tree Reservoir” areas in the two WMA’s offer more than 10,000 acres of flooded green timber for the public to duck hunt. A hunter can be at either area with a 30-minute drive from Walnut Ridge. The county is also a prime destination for bird watchers and train enthusiasts. Local state parks offer bird-watching activities, and American bald eagles are becoming more prevalent in the area. 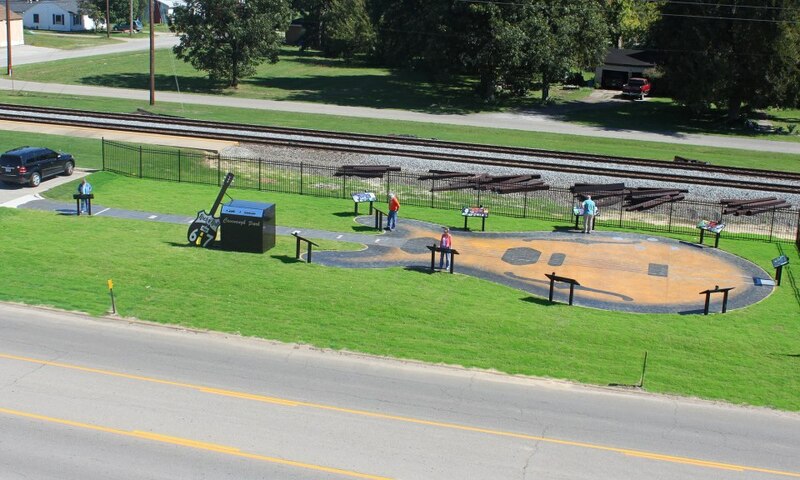 With two railroads intersecting in Hoxie, and a restored depot that still serves as an Amtrak station in Walnut Ridge, those who enjoy watching trains will have plenty to occupy their time. In addition, an abandoned rail spur is being converted into a walking/biking trail that will stretch through the twin cities of Hoxie and Walnut Ridge and out to the Walnut Ridge Industrial Park. Several chain restaurants are available in Walnut Ridge, as well as a variety of home-owned eateries scattered throughout the county. Visitors can enjoy everything from Mexican to Chinese, home cooking to fast food, barbecue to steak. Local festivals and events also draw many to the county. Portia has hosted a 4th of July picnic for more than 100 years. The annual event includes a carnival, live entertainment and a political speaking. In the fall, Walnut Ridge hosts the Beatles at the Ridge Music Festival and Black Rock hosts the Foothills Celebration. Both events offer a variety of activities, informational and vendor booths and live entertainment.